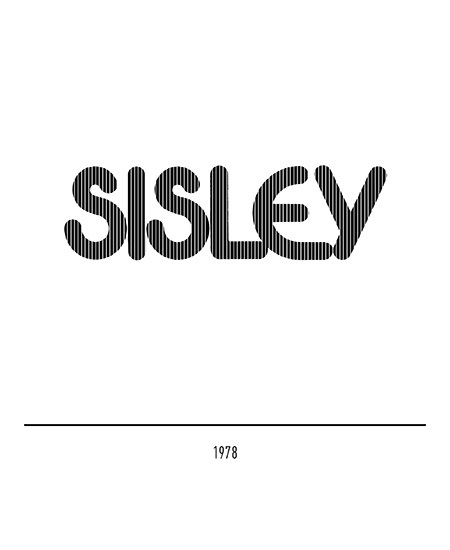 Sisley was established in Paris in 1968 as a cotton-wear manufacturer. 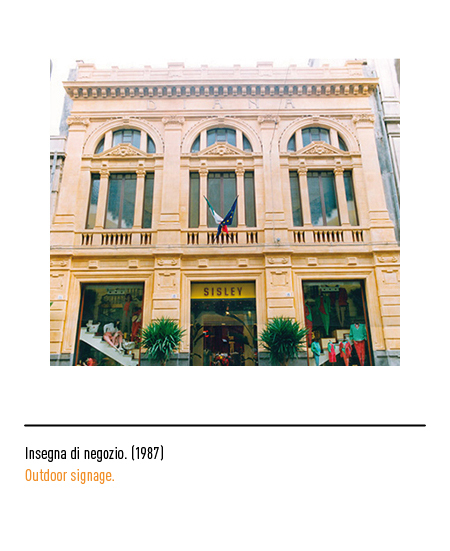 In 1974 it was taken over by Benetton who acquired exclusive rights on the name. 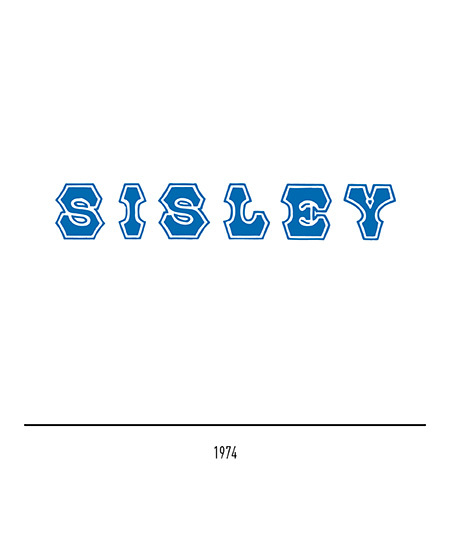 The trade-mark then comprised wording in American-style lettering. 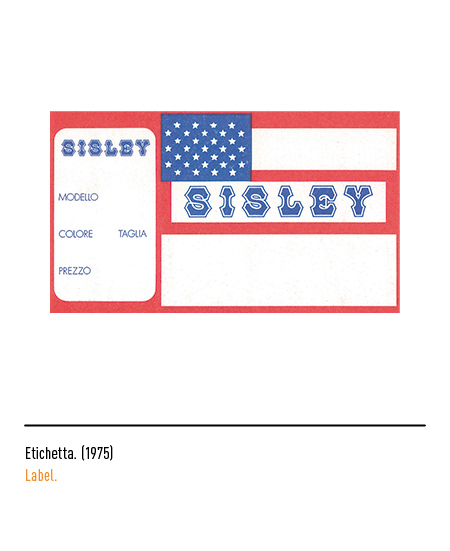 The first brand-name with the logotype set against a polychrome strip background was designed by Franco Giacometti in 1976. 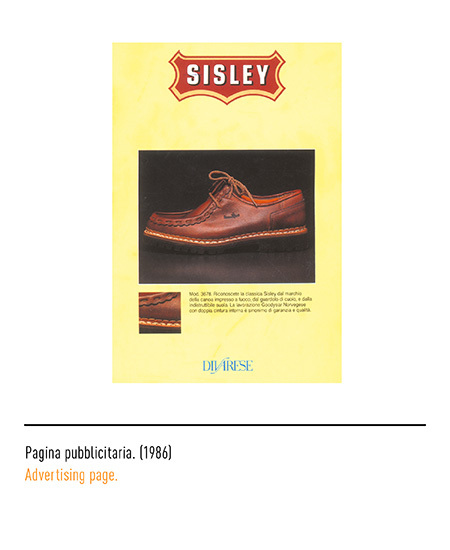 It was touched up in 1978 to confer it a look evocative of the then nascent neo-technological era. 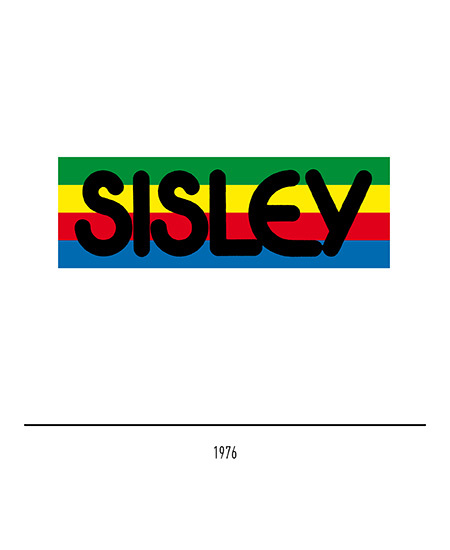 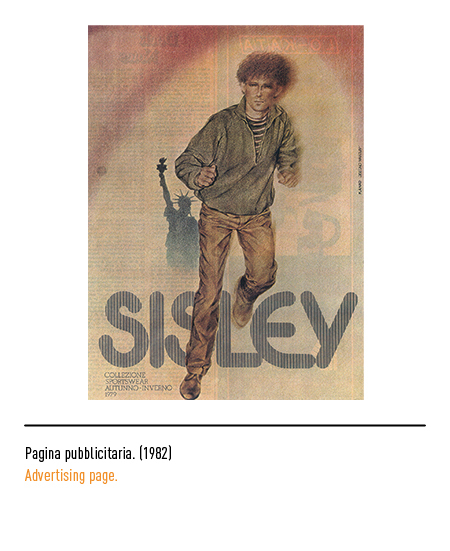 But it was only in 1985 that Sisley acquired its own distinct identity within the Benetton group. 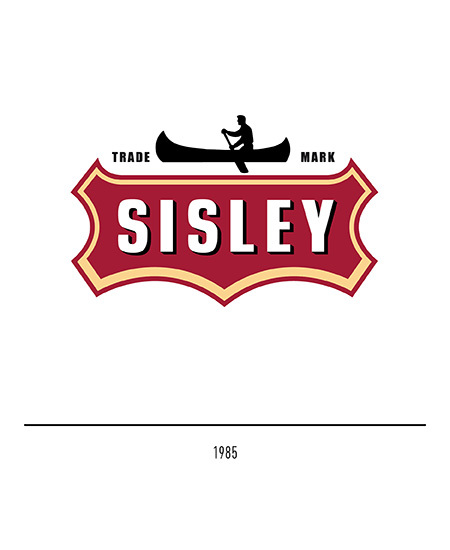 The original brand logo featuring shaded lettering and depicting a canoeist was designed by "Nicco & Co" agency. 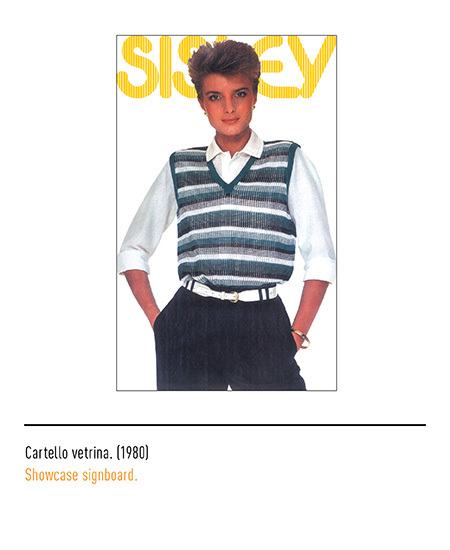 This label and the original unisex design of its apparel soon became very fashionable and sparked a trend and life-style even characteristic of our times. 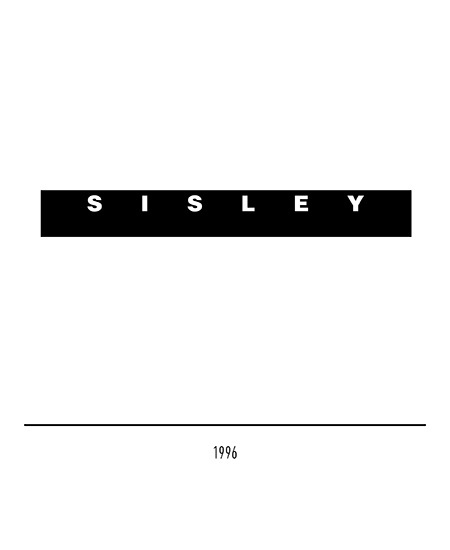 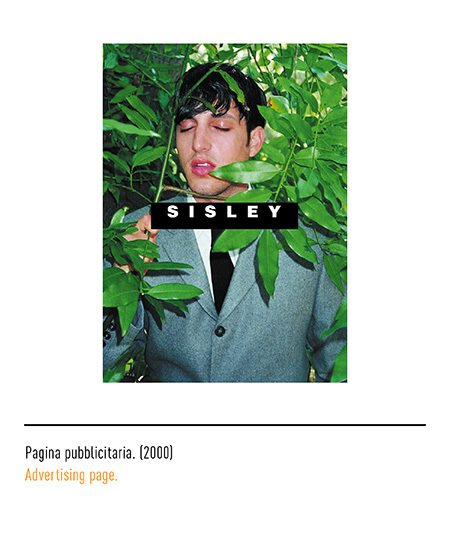 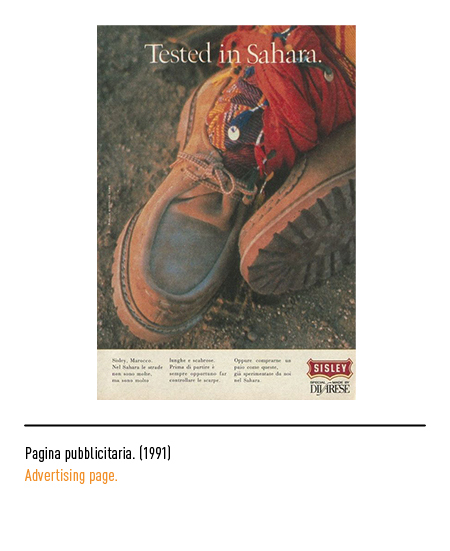 Design-wise 1996 was an important year for Sisley. 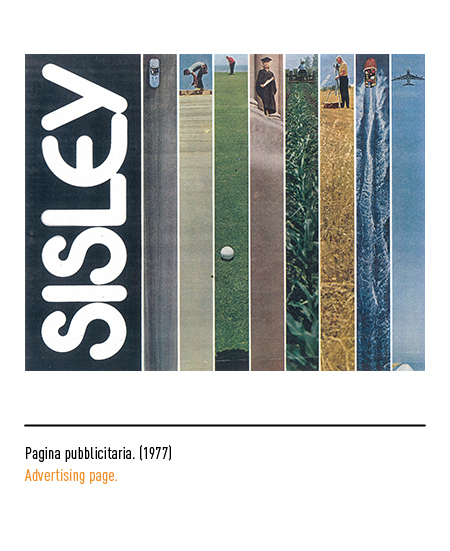 Its look was completely revised by Massimo Vignelli who created for the brand a new and more refined label with a white logotype in well spaced-out upper case Helvetica lettering against a black rectangular background. 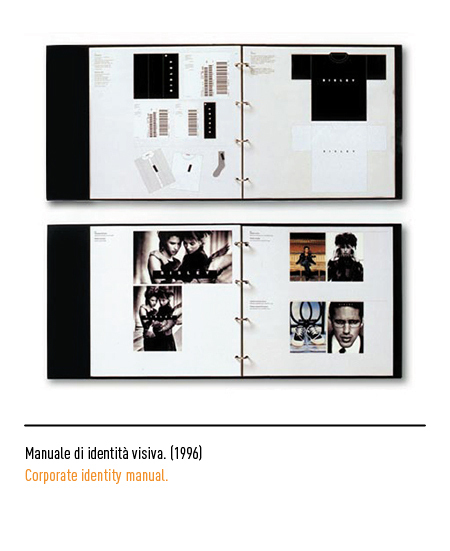 “Marchi d’autore” in Grafica & Disegno, n. 29, Ikon Editrice, Milano, 1999.